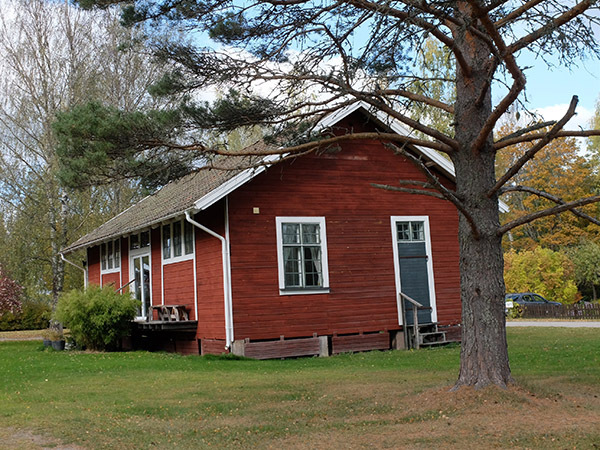 Print studio hidden in the Swedish forest. 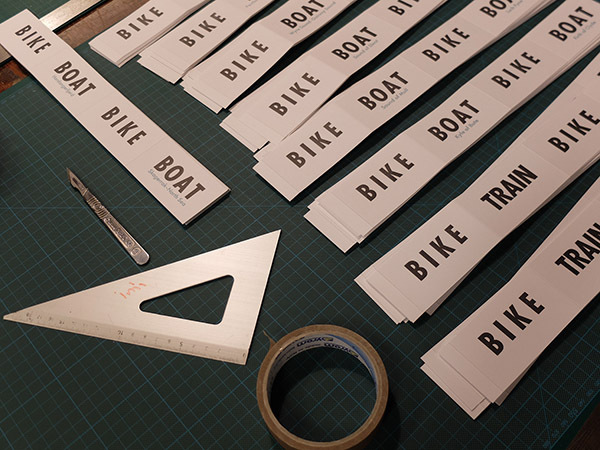 Invitated by Lina Nordenström and Lars Nyberg to use their print studio in the village of Uttersberg I spent three weeks letterpress printing a variety of projects including two books - A history of Swimming and Bergen to Basel by bike, boat and train. During the residency the annual GG October Seminar took place in which eight book artists from Norway, Finland and Sweden were invited to show work, make work and do a presentation. 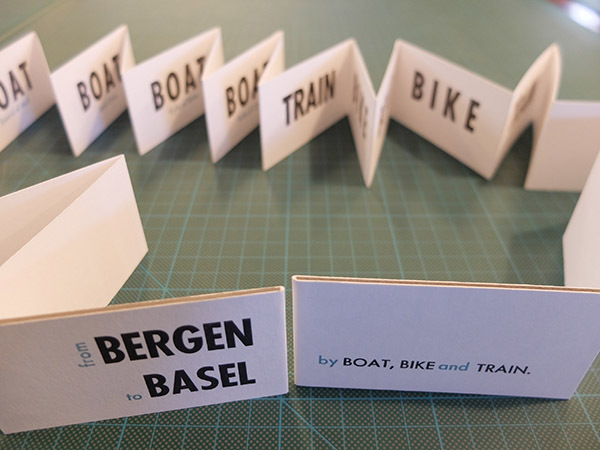 Letterpress Printing: for the Bergen to Basel book. 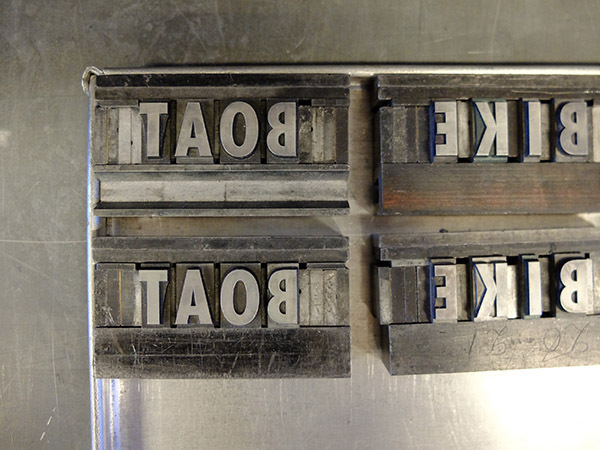 Studio View: Printing on the proofing press. 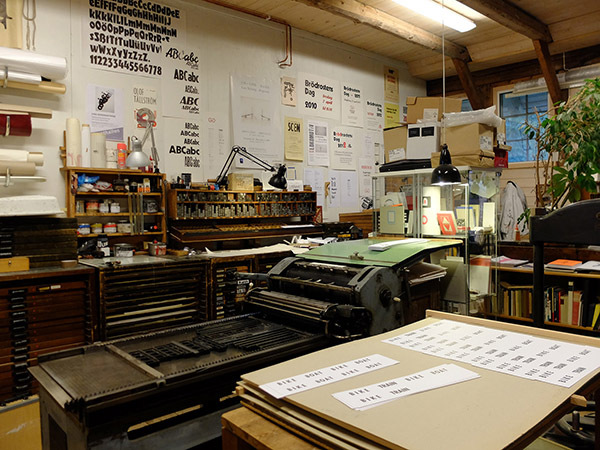 Grafikverkstan Godsmagasinet: workshop and accommodation.